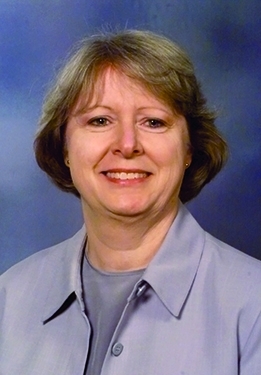 MLA : Blogs : Ryan, Mary L.
Mary L. Ryan, FMLA, spent thirty years at the University of Arkansas for Medical Sciences (UAMS), where she was library director. She is recognized for leading the library’s advocacy of open access publishing, projects to improve the health of citizens of Arkansas, adoption of changes in technology, innovative use of space, and expansion of historical resources and archives. 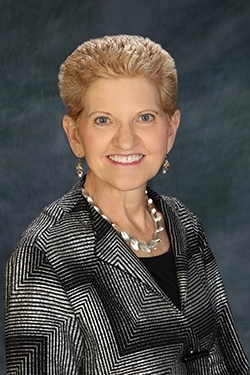 Her career is noted for her efforts in scholarly communications and consumer health, her collaborations with public and hospital libraries, and her leadership and contributions to outreach in the South Central area. Ryan was raised in a small town in Arkansas in a family of nine siblings. She owes her entry into librarianship to her childhood spent reading every book in her public library; this experience also was the impetus for her lifelong ambition to travel widely, often with her twin sister. After receiving her undergraduate degree in sociology from the University of Arkansas, she earned her MLS from Louisiana State University while working as serials librarian at Tulane University Medical Center, where she was also introduced to the profession and encouraged to take advantage of library associations. In 1978 she returned to Arkansas as assistant director for technical services at the UAMS Library. After a brief stint at the Food and Drug Administration library, she was executive director of the National Network of Libraries of Medicine, South Central Region, 1991-1997, when the contract was awarded to the Houston Academy of Medicine-Texas Medical Center Library. There she oversaw innovative outreach subcontracts to the Resource Libraries and an emphasis on disaster preparedness. This was when the RML Program was making a major shift to a much more direct outreach component, not just to libraries, but to community-based organizations and directly to health professionals… We pretty much…reinvented the RML Program… [W]e just considered this was kind of like a mission in life to do this job. In 1997 she again went to UAMS as library director. [A]cademic health centers are very complex environments and they’re also very political environments. They have many complicated issues to address. And the library is just one of the many challenges that they face. We had to work very hard to survive financially and still to be able to provide the services and resources that would keep us central to the mission of UAMS. Among her accomplishments, she repurposed space and established new roles for the library, including the Active Learning Center and Writing Center. She took a leading role in assuring compliance with the NIH Public Access Policy and promoting open access publishing; she worked with the National Library of Medicine to improve the process for submitting articles to PubMed Central. I don’t know how I got to be such a rabid supporter of open access publishing… I started this effort to inform people on the campus—not only about the NIH Public Access Policy, but also open access publishing and keeping them up with the developments in it, and discussing other ways that the scholarly communication process could be improved. We would tell researchers, it’s your system of scholarly communication; it’s not ours… We just think it’s important that you know what’s going on out there in the publishing world, so that you’re better able to make the changes that need to be made, to improve the process, and to take advantage of the advances in technology that can help you to improve the process of scholarly communication… It can help them do their research better, and developments can be discovered much more quickly that result in better health care. She also followed her interest in public health with an MPH degree in the first graduating class of the College of Public Health in 2004 that enhanced her understanding of the health needs of the state and her collaboration within the university. I have to see what opportunities there are out there for improving the health of people in Arkansas… There were so many benefits for me in my job as the director of the library from going through this program… I saw the library from a whole different perspective as a student than I had as the library director… But I also think that it helped give me more credibility as the library director… because I had a second degree that was a health-related degree. Her skills and broad perspective were recognized by the administration with expanded duties as associate provost for student services in the two years before her retirement in 2014. Two of the skills which I consider so important to our jobs as health sciences librarians and as officers of an association like MLA are…public speaking and technical writing skills… Because sometimes we don’t get a lot of…training in either of those areas… [S]o much of your credibility in your job depends on how articulate you are, …on the image that you project and how well you write. Ryan served as Medical Library Association president in 2008/09, when her priorities were ethics, environmental issues, and work-life balance. Ethics was probably the easiest one, in a way, to select, but the hardest one to implement… I didn’t get much traction with convincing members of the association to stop accepting dinners, gifts, and contributions from publishers and other entities with which we did business. I had read the literature on how physicians’ drug-prescribing habits were affected by their relationships with the drug companies… It was because of the experiences that I’d had along the way, and it was kind of a gradual awakening to me. But once I really saw what a conflict of interest it was, I just thought everybody else could see it too… I was disappointed that even some of my closest colleagues, whom I admired the most, didn’t seem concerned about this issue. I just thought, well, I must be like Don Quixote chasing windmills or something. But anyway, that was probably my greatest disappointment in all my years of work. She also was on the MLA Board of Directors and chaired the Section Council during 1990/93. She was elected to the Association of Academic Health Sciences Libraries Board of Directors and to be president of the South Central Chapter and chair of the South Central Academic Medical Libraries Consortium. We loved the South Central Chapter of MLA. It has great meetings full of CE and speakers and exhibits and parties, and it was just a great group of people… It was a really good place to learn leadership skills and learn how organizations work, and it helped us all build a network of SCC members in other libraries who did the same jobs that we did… I was lucky to be in a region that has such a good chapter. 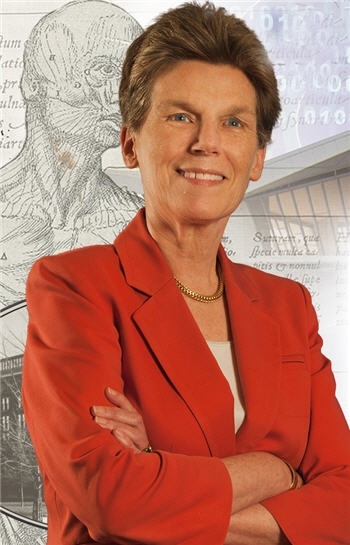 She was on the PubMed Central National Advisory Committee, and she was a member of the NLM Board of Regents in 2010/14. She was named an MLA Fellow and distinguished alumna of the LSU School of Library and Information Sciences.